Image shown has 2" casters; this model has 3" casters. 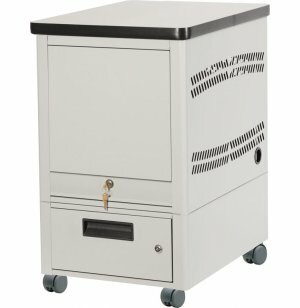 Roll tablets around while keeping them securely stowed away with Mobile Tablet Carts. 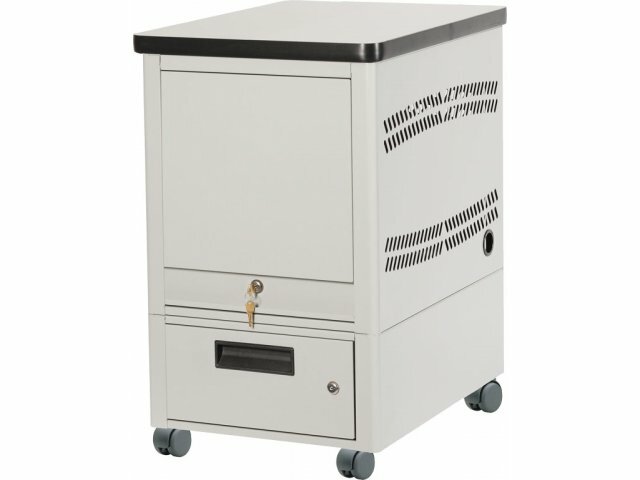 These units offer way more than a simple tablet cart; they include additional locked storage in a drawer base as well as a convenient laminate work surface.